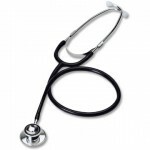 MEDshop.dk is an authorized Littmann stethoscope dealer, but we also have other good stethoscope brands such as Spirit. 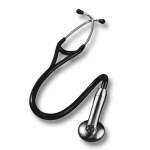 Our stethoscopes are used by all health professionals - doctors, nurses, etc. Many studmediates buy their first stethoscope at MEDshop.dk - possibly. together in a group where they can get a discount. Stethoscopes are available in many colors, types and grades - from cheap aluminum stethoscopes, typically used for blood pressure measurements, to high-end cardiological stethoscopes for specialists. We have special stethoscopes for children (pediatrics) and newborns (neonatal). You will also find a selection of midwife listeners with us. In recent years there are also electronic stetoskoperhave become very popular - they are now also available with bluetooth that enables recording and transmission of heartbeat. 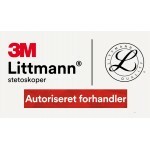 You can visit 3M Littmann hereand read more about the stethoscopes MEDshop.dk reseller.